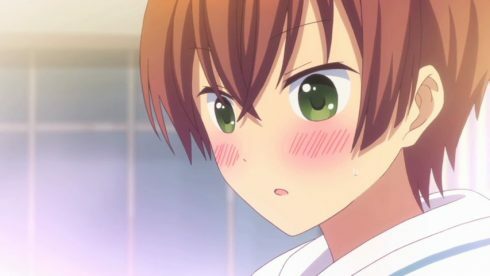 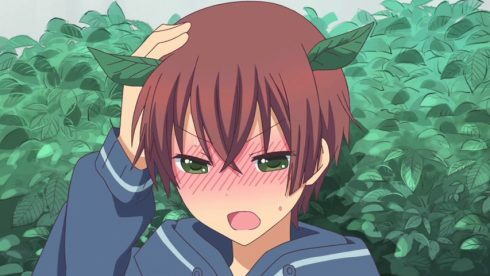 It was a little over a year ago that I first came across the webtoon of Momokuri and found myself chuckling at it’s content, so was interested to hear that it was going to get an anime adaptation – initially it was going to be released via the ONA pattern offered via a private channel associated with Comico, where the best resolution one could often get was about 360p. 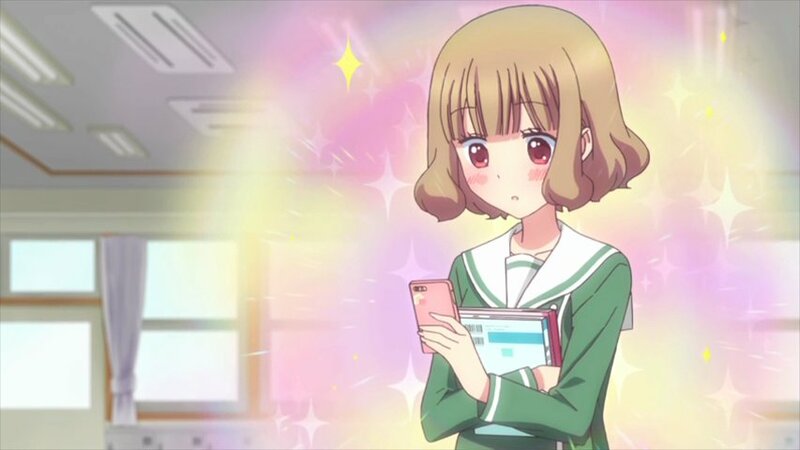 But it was recently announced that it would be streamed and that it would be picked up here in the USA for simulcast … which means up to 1080p! 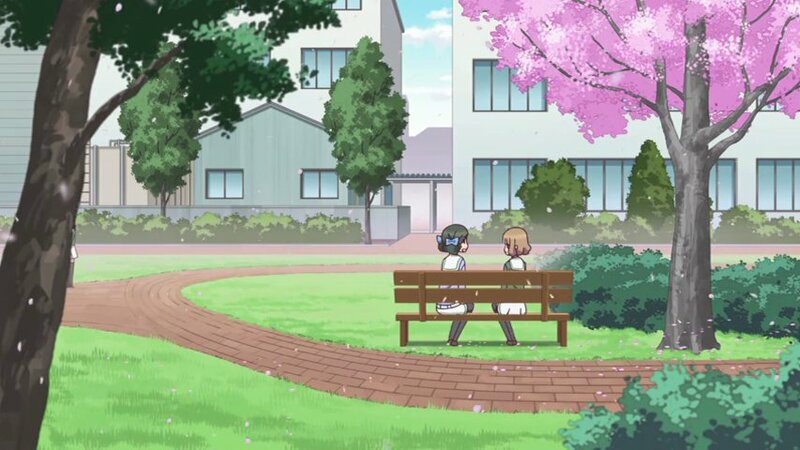 Unsurprisingly it is much more enjoyable at higher resolutions – at least for me. 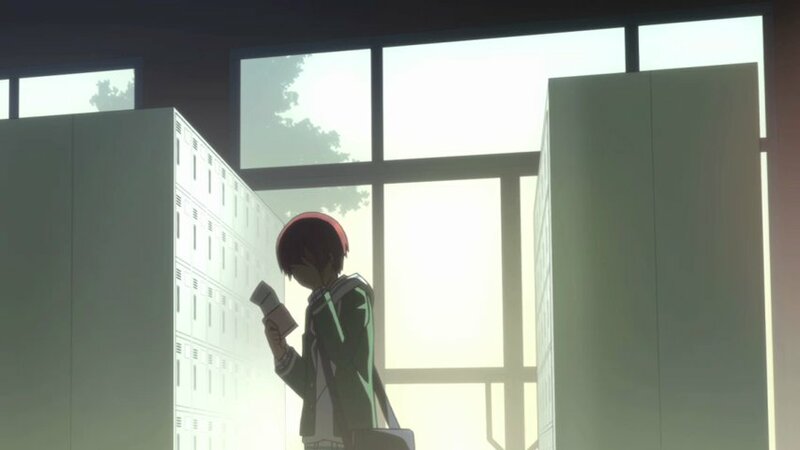 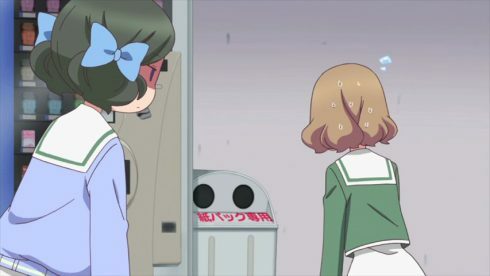 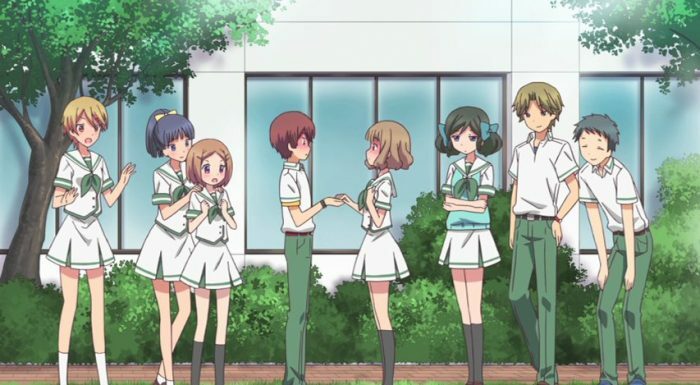 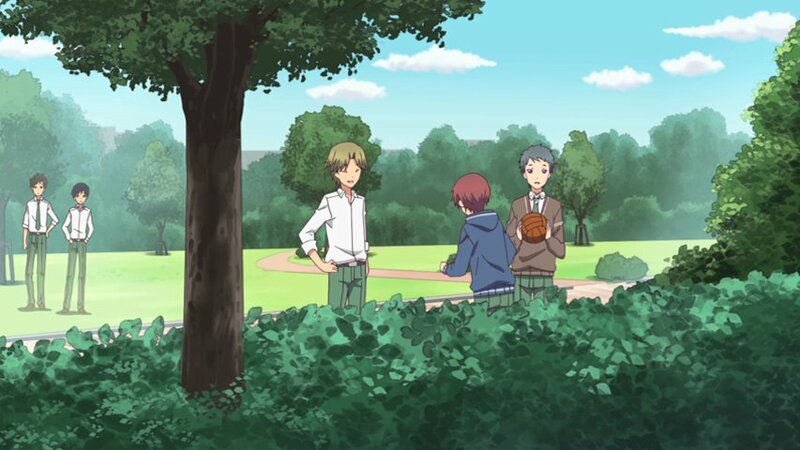 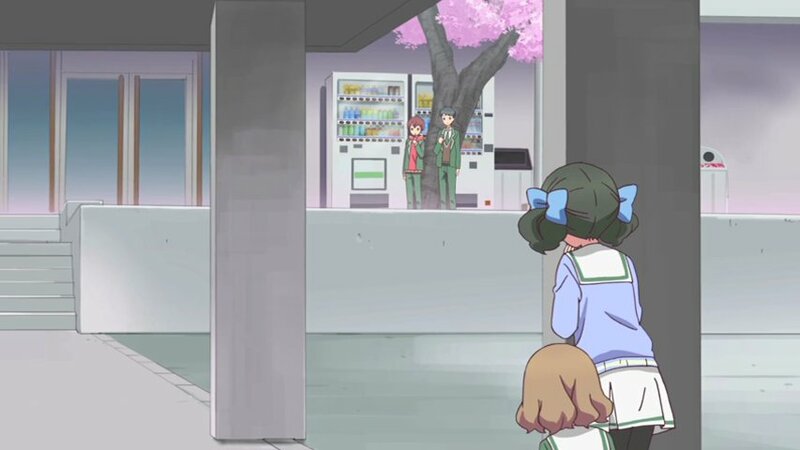 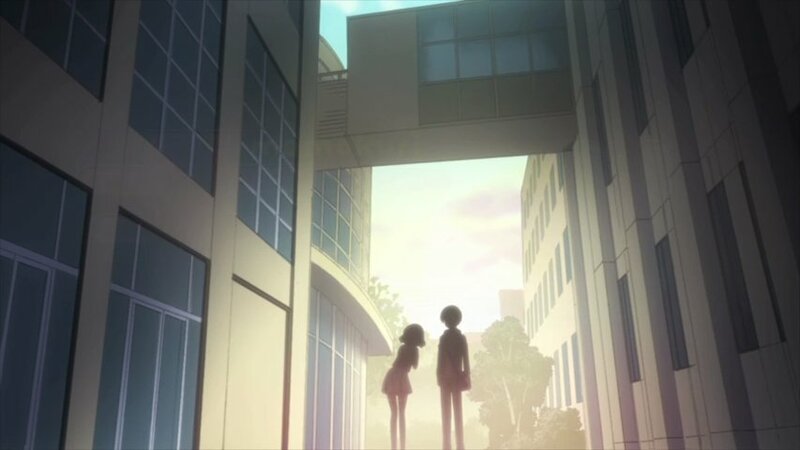 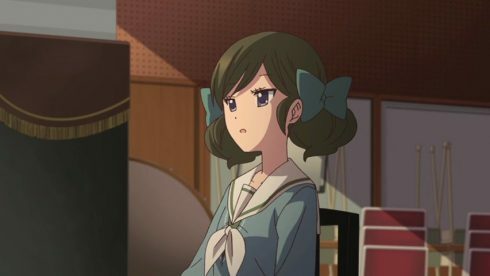 The episode opens up with Momo being confessed to “out of the blue” as far as he can tell, but as the narrative unfolds we see that at the beginning of the school year Yuki happened to idly look out her classroom window at some of the underclassmen noisily at play when her gaze fell on a smaller student who tumbled backwards into a hedge and get some leaves stuck in his hair in such a way that made him look like a cat. 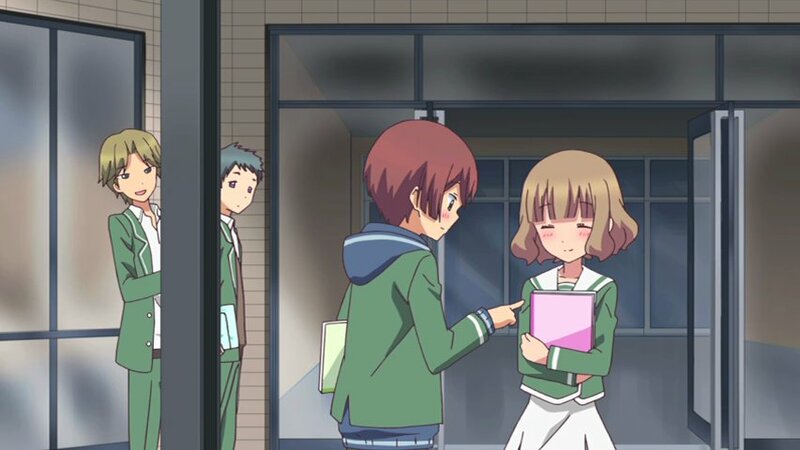 Yuki fell in love at first sight, and fell HARD. Immediately confiding the fact to her friend Norika (who is an absolute riot, by the way – a twin-tailed, deadpan, serious and balanced pianist who helps keep Yuki from going overboard) Yuki slowly builds up the courage to confess to Momo, who accepts … Yuki IS quite cute and affectionate, after all, so no surprise. 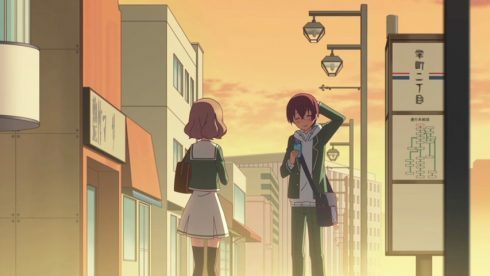 What we quickly begin to see is that while Momo (well VA’d by Okamoto Nobuhiko – Accelerator of the “Index” franchise fame) is actually a wonderful, sincere and innocent kinda guy (Yuki found a gem) Yuki, while she is equally pure at the same time has a super obsessive streak that borders upon the boundaries of stalkerish … and she knows it, but has a terrible time restraining herself. 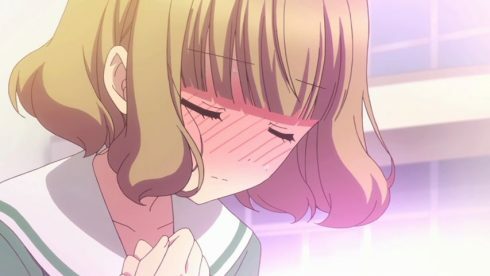 We find out that she decided to confess to Momo once she takes 100 secret photos for her collection! Fortunately she is too innocent to ever veer off into creepy actions one might associate with “yandere’sim” (that overused trope of late). 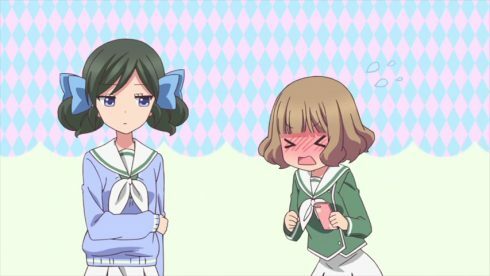 She is mainly just very obsessive over the things she loves (even Norika was surprised at how out of the blue her strong enthusiasm was!) 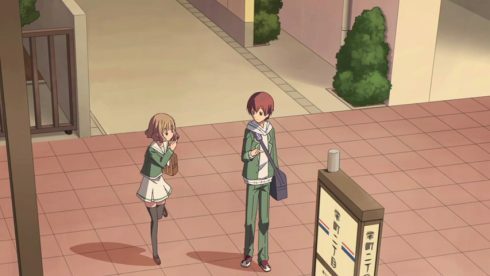 and the taut cord pulling between her pure heartedness and her intensity makes for quite good comedic material in my opinion. I would not call this brilliant or earth-shaking, but it is definitely charming and funny and light-hearted … if you were looking for material of that sort this Summer 2016 season AND the comedy works for you then you will be likely one of those who would enjoy this series. 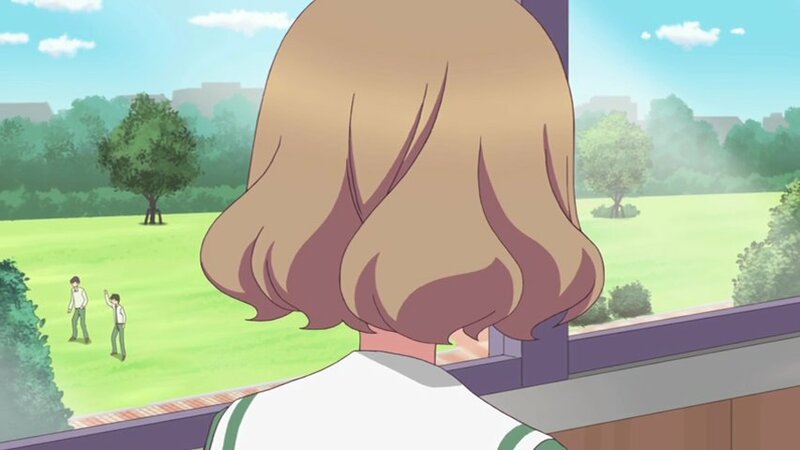 I can also say that after the first two eps the cast will be developed surely but slowly, and will do so in a good way – I found many of the other characters (we see an array of them at the end of the ED) to be interesting and to help enrich the series and the setting as a whole.